Enter for a chance to win tickets to see Born In China on April 18 at 7:00 PM in Houston. 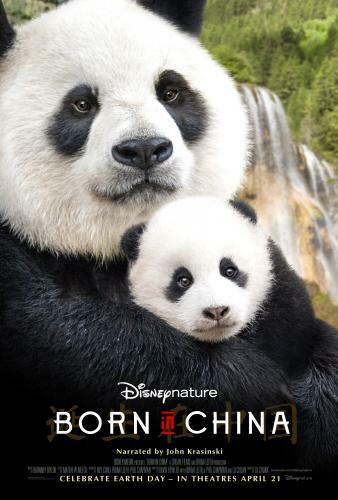 Narrated by John Krasinski (“13 Hours: The Secret Soldiers of Benghazi,” NBC’s “The Office,” “Amazon’s “Jack Ryan”), Disneynature's new True Life Adventure film “Born In China” takes an epic journey into the wilds of China where few people have ever ventured. Following the stories of three animal families, the film transports audiences to some of the most extreme environments on Earth to witness some of the most intimate moments ever captured in a nature film. A doting panda bear mother guides her growing baby as she begins to explore and seek independence. A two-year-old golden snub-nosed monkey who feels displaced by his new baby sister joins up with a group of free-spirited outcasts. And a mother snow leopard—an elusive animal rarely caught on camera—faces the very real drama of raising her two cubs in one of the harshest and most unforgiving environments on the planet. Featuring stunning, never-before-seen imagery, the film navigates China’s vast terrain—from the frigid mountains to the heart of the bamboo forest—on the wings of red-crowned cranes, seamlessly tying the extraordinary tales together.